Theresa was in a car accident in 2007 and sustained a Traumatic Brain Injury and multiple injuries. She was in a coma for nearly 4 months. Theresa had ongoing rehabilitation until Feb 2015 when she moved to Leeds. Theresa started having physiotherapy with Jess Noble in June 2015. 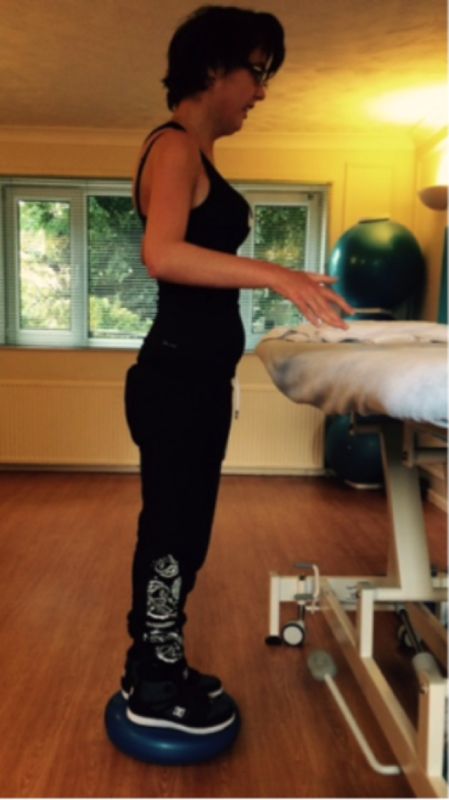 Theresa’s physiotherapy treatment has consisted of soft tissue therapy, core stability exercises, stretching, hands-on facilitation, dynamic balance exercises, treadmill training, Functional Electrical Stimulation for her right leg and arm as well as home exercises. Through hard work Theresa has now achieved some of her goals; she can now reach to the back of her head without pain, her writing is neater and quicker, her balance has improved so she can now react to unexpected situations. Theresa is now working towards being able to run at an event next year.